Turkey had given Sankar and me an unexpected gift. Living there, we had uncovered a strong mutual interest in history, something that had lain dormant throughout our marriage. After visiting historic sites in nearly all parts of the country, in late summer of 2012, we were heading out to see something very much in the present. The war in Syria was in its eighteenth month. What had begun with high hopes as part of the 2011 Arab Spring, had turned into a savage struggle. For sixteen months, with no resolution in sight, Syrians had been fleeing the violence, crossing into neighboring Turkey, Jordan and Lebanon. 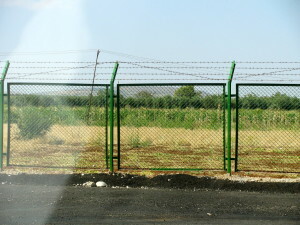 At this point, Turkey had opened three refugee camps along the Syrian border and was planning for seven more. 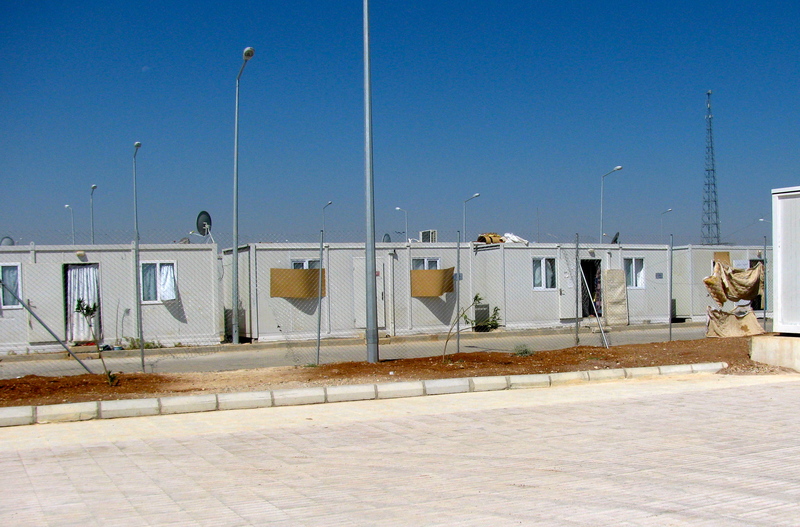 The Turkish government had contracted 3M to design and install an automated system to help the refugees move in and out of camps and to provide them access to modest resources. 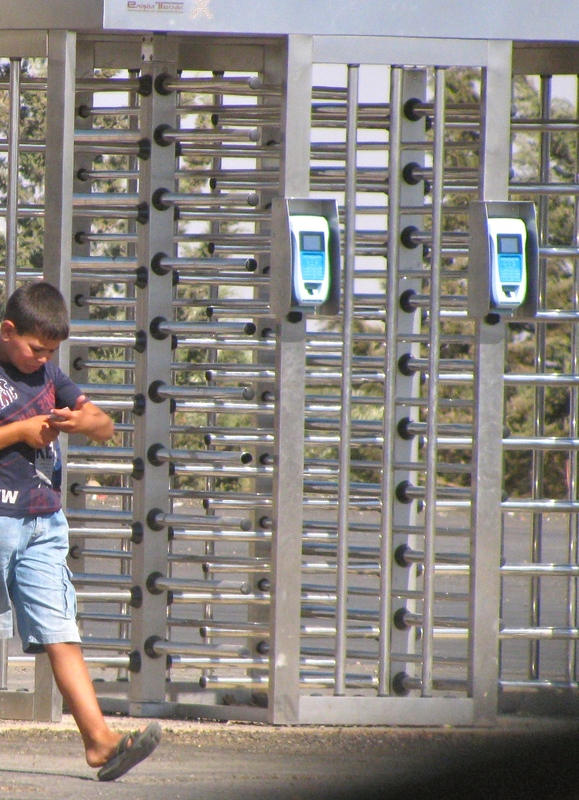 There was one in place now, at Turkey’s largest camp near Kilis, alongside the Syrian border. The project team was planning an evaluation visit, and Sankar, who was responsible for government business, asked me if I‘d like to come along. I jumped at the chance; it was the closest I was going to get to a conflict that had the world’s attention. On a Friday morning in August, I took a forty-minute flight with Bahar, a 3M engineer, from Istanbul to Gaziantep. There she and I met up with Sankar; systems expert Fatih Bey; and Sean Bai, originally from China, an executive for 3M’s Cogent subsidiary in California, which had designed the system. We drove a half hour south from Gaziantep to Kilis, where we stopped for coffee and tost (grilled sandwiches). 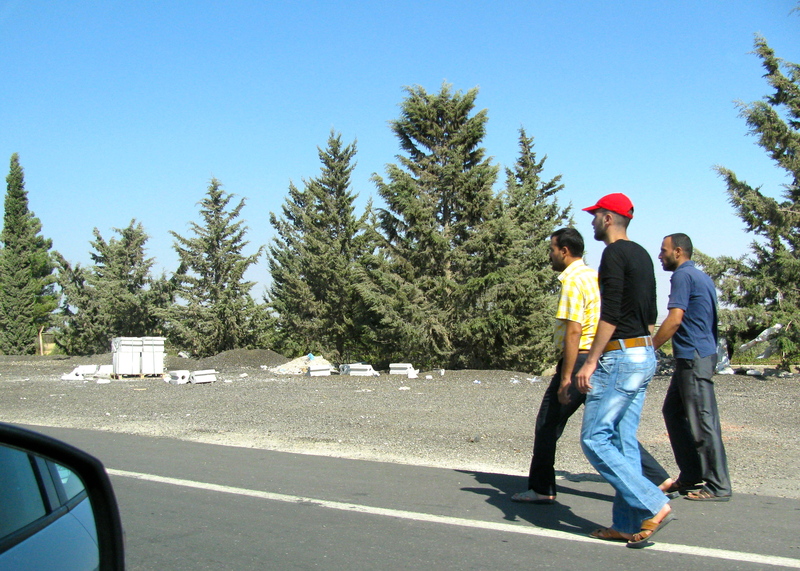 From Kilis, it was only a few kilometers to the camp. Syria lay to its south: rows of green plantings the height of corn, and a dry-looking, distant mountain. No fighting was evident; at that time much of northern Syria was in rebel hands, and ISIS had not yet appeared on the scene. Built for 20,000 people in a large field, the camp looked more like a tidy, high-security trailer court than the tattered, pungent place I’d imagined. 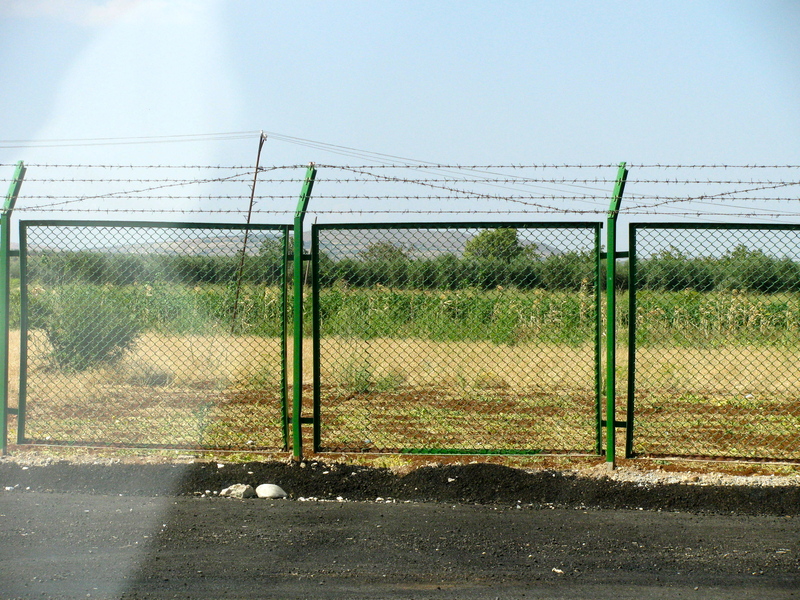 It was surrounded by sturdy layers of green, wire-topped fencing. Alongside a thirty-foot high metal arch that spanned the road, a cinder block administration building greeted visitors. Military guards waved our van in after Fatih presented identification. Several refugees, slim, with dark hair and sun-darkened skin, and dressed in T shirts, baseball caps and jeans, were filing through a turnstile embedded in the fence. They looked no different from Turks, but I felt a vast, almost unfathomable chasm separating my privilege with their desperation. I recalled my yearlong confusion after moving to Turkey—and these Arabic speakers would have the added disadvantage of a new script. 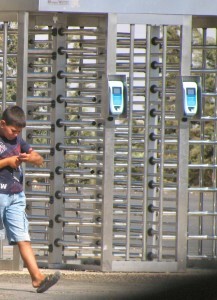 3M had installed fingerprint readers on the upright posts of the metal turnstiles. These identified each person entering or leaving the camp. Why this identification? It turned out that many refugees wished to take jobs outside the camp during the day because of an agricultural labor shortage in the area. Turkey, concerned that the camps didn’t become conduits for terrorists, needed to verify that the same people returned each evening. 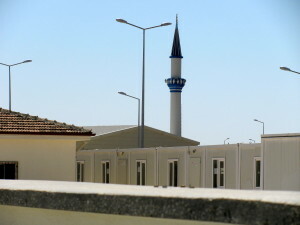 The country had a simmering conflict with its Kurdish minority, and several weeks before, a bomb had gone off in Gaziantep, killing nine people. 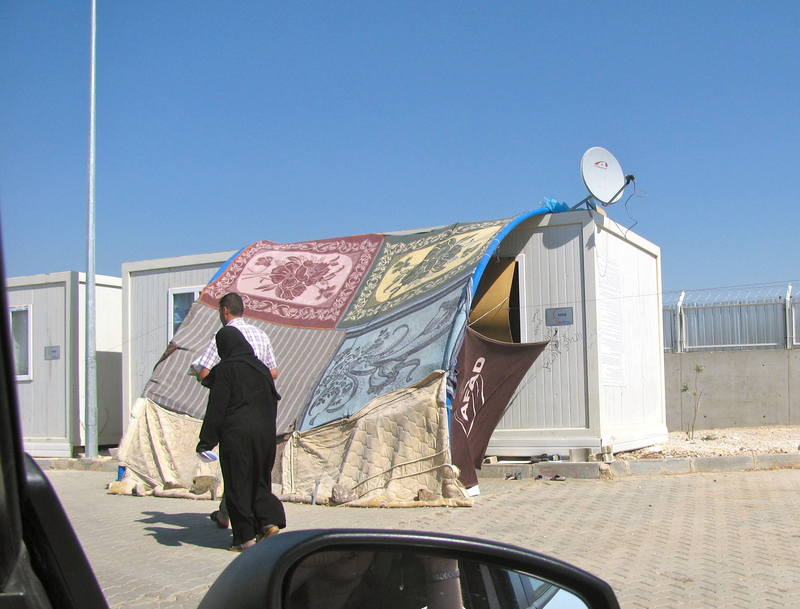 Some refugees needed only temporary shelter, and an id system could also accommodate that. 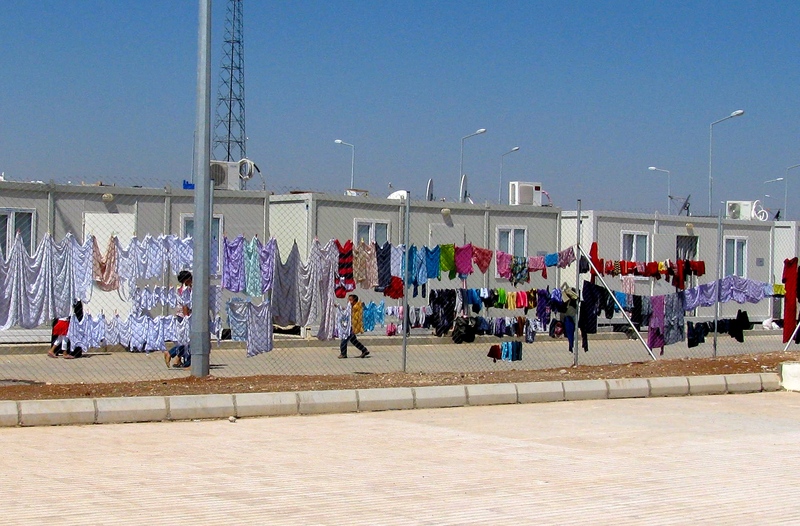 A recent Zaman newspaper article had stated that at camps in Jordan, which lacked identification systems, residents complained of not being allowed to leave, even though some had relatives in that country willing to care for them. Although the camps housed the refugees for free and gave them basic foodstuffs, inhabitants also needed personal and household incidentals. So Turkey provided each refugee—man, woman, and child—with a smart card loaded weekly with twenty Turkish Lira, about $13.00. The fingerprint scanner and the smart card system were linked to the same database. This cash, multiplied by a growing number of refugees, was surely a boon to the sleepy local economy. The team’s main goal for this visit was to assess the fingerprint system. We watched as people used it. A woman entered the administration building and stood waiting to have her fingerprints recorded. I noticed tears rolling down her cheeks. A young couple, both with startling green eyes, walked in to register their baby. I was pleased I could come up with the Arabic question, “Is it a boy or a girl? “Walad, a boy,” the husband replied, with a wan smile. I tried to imagine their panicked, cumbersome journey and the anguished family likely left behind. The fingerprint readers sat in the hot sun all day and tended to overheat, resulting in malfunction. Bahar and an on-site technical person set examined the devices to see if some kind of case could be fitted over then, or whether they could be moved to a shadier place. Sean and Fatih went into an air-conditioned back room to look at the server while Sankar and I waited. East of the admin building were dozens of neat rows of pale gray, oblong fiberglass dwellings. These were the refugees’ homes: new-looking shipping containers retro-fitted into houses with electricity, running water, toilets, and kitchens. We walked out onto the grid of streets formed by rows of containers. The temperature wasn’t particularly hot, but the fierce sun and lack of shade were harsh. I was struck by the complete absence of any litter or garbage. Order in public spaces is a major priority in Turkey (sometimes we foreigners poked fun at this official Kontrol) so it was not unlike what we normally experienced. But it was impressive given that the camp had been hastily constructed and held increasing numbers of traumatized people, and I began to view the orderliness as a balm. Crossing into Turkey was indeed crossing to safety and I loved Turkey for its sturdy substantiality. Each container was about twenty-five feet long by ten feet wide, with two narrow windows on each long side, but none on the ends. They looked hot, but we were told that they had strong ventilation systems, and that some families had installed air conditioning units. Not all refugees were penniless. 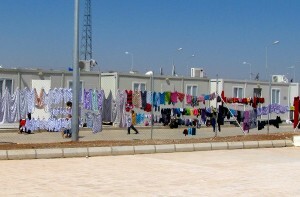 On chain link fencing behind some rows of homes, clean, colorful clothing of all sizes was spread out to dry. To create shady patios, many families had stretched patterned quilts and coverlets between their roofs and back fences—or in some cases, just fence poles—that separated each block of homes. This homey touch helped individualize the dwellings and somehow the printed fabric reminded me of Eastern Europe, not the sands of Arabia. The refugee camp had an appointed mayor, a middle-aged Turk from the town of Kilis. We gathered in his office, in another small cinderblock building, for formalities. Feeling out of place, I sat in the background, thinking about the overheated readers, and trying desultorily to understand the man’s words before Fatih translated them. We also met the camp superintendent, a woman from central Turkey who was introduced as a refugee expert. The Turks we were meeting spoke both Turkish and Arabic. Since the 1923 birth of the Republic, the country had been strict about teaching Turkish only as a first language in an attempt to solidify national identity. The Turks I knew in Istanbul responded with grimaces to my early, well-intentioned comments that a particular Turkish word was the same in Arabic. So why the dual languages here? It turns out Turkey’s border with French-controlled Syria hadn’t firmed up until the late 1930s, so many Turks in this region had parents and grandparents who spoke Arabic. We peeked into the clean, empty hospital and dental clinic, both made of fiberglass shells covered with stretched canvas. We walked into a three-story cinderblock school building (elementary, middle and lycee,) and talked with two male teachers, themselves refugees. 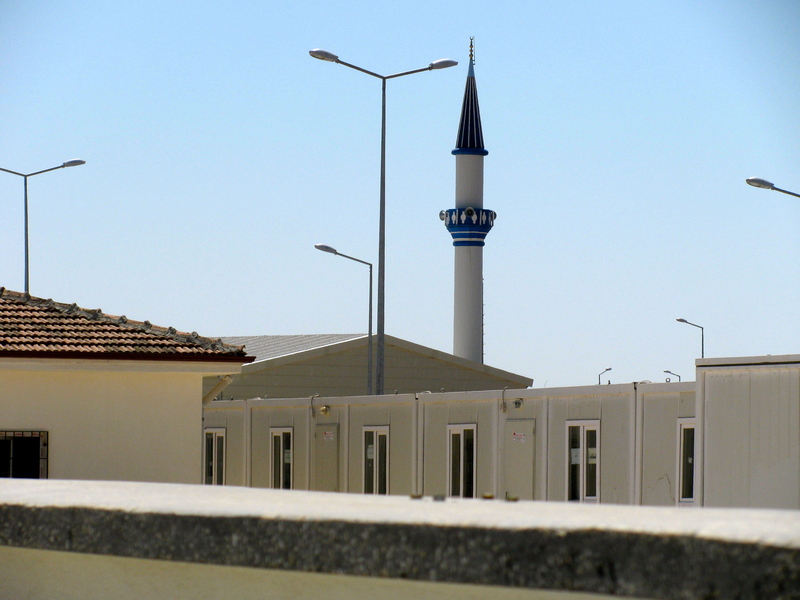 The minaret of a brand new mosque, featuring a decorative blue balcony, emerged from behind a block of homes. 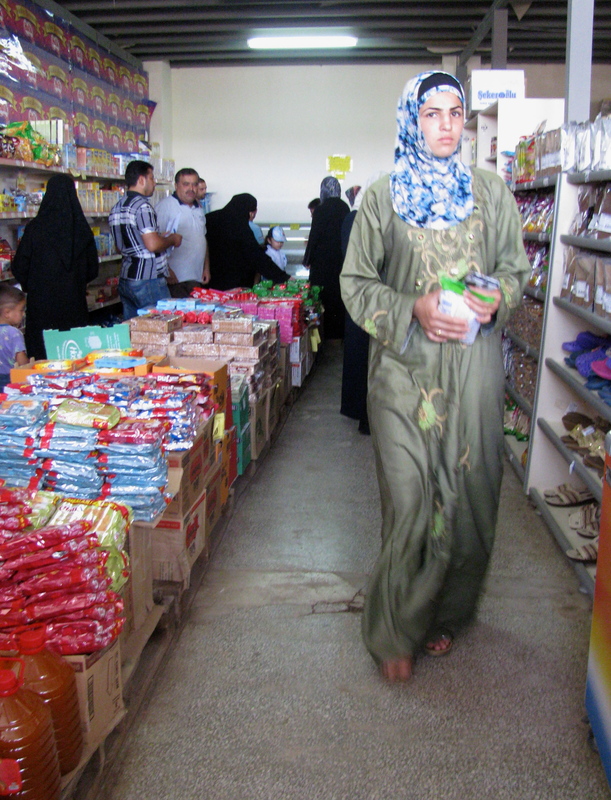 We stopped at the bustling market, the size of a large American convenience store. 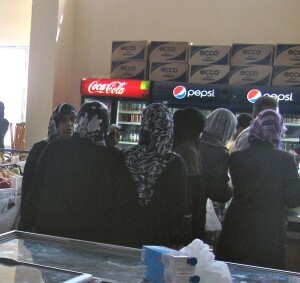 It had a sign in Turkish and then, in Arabic script, the word, subermarket. A small pickup truck full of bags of potatoes and peppers was being unloaded. 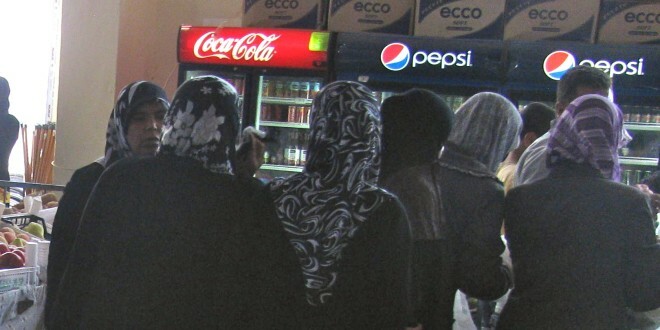 Inside were several Coke and Pepsi cases, a frozen foods case, piles of watermelon, green beans, grapes, and apples, and shelves with sandals, children’s clothing, shampoo, and household cleaning products. The people walking the aisles, mostly slender women dressed in long robes with headscarfs, looked grim, their movements slow and hesitant. We watched as they used their smart cards at several cash registers. 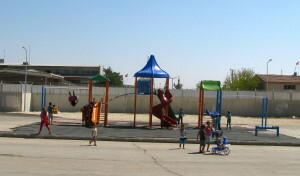 Near the school building , groups of camp inhabitants, mostly women and children, were out walking. 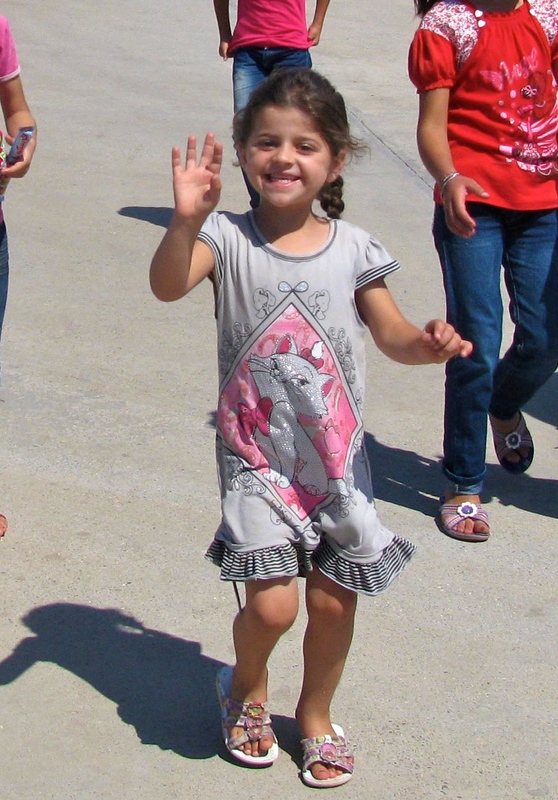 Adults appeared impassive, kids energetic and curious and in excellent health, although surely any sick or wounded kids wouldn’t have been walking around for us to see. 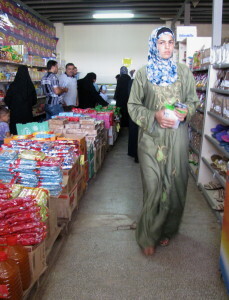 Even in the midst of crisis, Islamic dignity ruled: clothing was neat and clean. No rags, no inappropriate skin. The weeping woman at the admin building was the only openly emotional person I observed, people’s anguish was nearly as hidden as women’s hair. As we walked, Sean told us that the Cogent manager for the project, an American, had been slated for the visit to Kilis. But that gentleman had refused to consider a trip to Turkey, declaring it far too dangerous, so Sean, his boss, had made the trip. Back home on visits, we were often asked the “aren’t you scared” question, and had tried, often with little success, to explain that living in Istanbul was no cause for fear. We had to admit, however, that the phrase “Syrian refugee camp” could legitimately strike a nerve. But as we looked around at the flat, empty terrain and the guards posted at nearly every corner, we rolled our eyes. It was pure joy to see young boys, eight, ten, twelve years old having a good time. As classes had not started yet, groups of Huck Finns ran around the camp at will, hopping up on ledges, improvising games of tag, spying on groups of girls, and kicking battered soccer balls down the straight avenues Despite the tragedies that had uprooted their families, these pre-teens, too young to work in the pistachio groves, but old enough to run unsupervised, were in a safe environment that had just enough nooks and crannies to be interesting. Their energy and exhilaration were a great reminder of the resilience of youth. We were seeing the Kilis camp at a point in which Turkish planning was ahead of Syrian tragedy. Would the camp turn into an overcrowded, raucous mess as the number of refugees in Turkey ballooned from 25,000 to (as I write this in 2016) over two million in twenty plus camps, and as long years of war more thoroughly decimated families? I looked online and was pleasantly surprised to see that much cleanliness and organization remain. 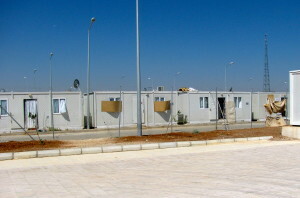 Refugees live in the same containers, but the units appear to have been moved closer together so that back patios no longer exist. Residents instead sit on front stoops made of single cinderblocks and, at the edges of the camp, scores of informal vendors sell bags of nuts and sweets, and household incidentals displayed on wooden pallets. The trip to the Kilis camp would be my last visit to southeastern Turkey, with its mash-up of cultures and civilizations. It was a fitting end to the journey Sankar and I had been on these past few years. I was trying to better appreciate the work he did and resent less the effect his travels had on me. 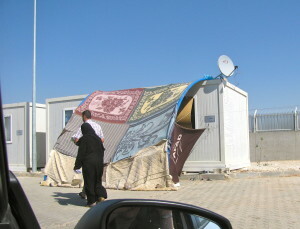 We had been able to see important work: while the camps were a political representation of Turkish hospitality, his company’s automated system allowed Turkey to manage this hospitality. In the end, I wasn’t sure which had been most interesting, the camp itself or the chance to observe a problem-solving team. I like puzzling over the big picture, in this case, moving key Syrian and foreign players around in my mind to try and resolve the crisis. But that thinking can easily spiral toward futility. On this visit, I saw how satisfying it was to cross over to the more mundane, to focus on a small, controllable part of a larger situation. It was a reminder that a seemingly faceless organization—workaday and patient—can apply its expertise to make a difference. When I thought of the problems Sankar was helping solve in Turkey, I felt proud.